This game started out 7-0 Miami and it looked like this was going to be a back and forth affair. 14-10 Houston at the half…still felt the same way. And then Miami forgot how to cover WRs and the blitzkrieg was on…42-23 Texans in the end. I’m not sure how this got so out of hand, it felt closer…but then I felt like Miami was lucky it wasn’t worse…it was a weird game to re-watch. Two teams I don’t think are playoff worthy played on TNF, and one of them, the home team won…yeah! Houston has won five games in a row, now. Beating teams with .500 or worse records. The good news for them is – they don’t have but one (WAS) game on the remaining schedule with a team with a winning record (as of today). Only the Colts could catch them, I think, but that just got harder for Indy with this win. We project Houston at 8-9 wins and the likely AFC South winner, but it’s very precarious because it’s a bad division top-to-bottom. Houston beats Denver at Denver Week 9…it’s all but their division title. Miami started 3-0 and found their way to 4-4, as expected. 8 wins is possible, but we see 7 more likely. Miami isn’t good enough to get to 9 wins without extreme luck. It’s not impossible, but I’d bet a lot against it. -- Who doesn’t love Kenyan Drake (12-58-1, 2-37-1/2)? ‘Gotta love the Drake’. Actually, this game was frustrating for me with Drake…despite me making a big deal about him the last few weeks and then getting a sweet game here – are you kidding me…two targets? In a game that Miami needed offense…Miami abandoned what was working with Drake the last few weeks (using him as a WR of sorts, as a Kamara of sorts) and used him more traditionally. If you can count on anything in life…it’s that O-C Dowell Loggains will run from anything working successfully just when you’re convinced only a moron could do so. *See: Tarik Cohen Weeks 1-2 last year vs. his next 15 weeks under Loggains in Chicago last season. Look at what Cohen’s doing now. Loggains is the worst offensive coordinator in the NFL now that Mike McCoy is gone. Keep riding Drake for FF because he’s all Miami really has. Several Miami WRs hurt… Jakeem Grant (4-36-0/8), who has been a homerun hitter all season…as a runner, a returner, and as a bubble screen and go WR – well, he was forced into a starting role. What does Loggains do here? Uses him as a traditional WR mostly, with no carries and I don’t think he had a real setup bubble screen. Never stop sucking at what you do Dowell! You and Darrell Bevel should get together and see whose worse at their vocation. -- DeVante Parker (6-134-0/9) did get the touches. A failure for years, hurt all season…right into the lineup and seeing a majority of the targets this game. Also, insufferable…fantasy analysts that follow the NFL’s lead/B.S. scouting and analysis. And because they do…DeVante Parker will be the hottest pickup of the waivers Week 9. There people haven’t burned enough by Parker…now, they’ll jump right back in – this time is different! This time he has Brock Osweiler!! Do not fall for this. Your only play on him (besides staying away) is to grab and trade to ESPN followers/suckers immediately. -- Is Will Fuller (5-124-1/6) made of glass? I feel like he’s on his fifth season-cut-short-by-injury season in three NFL seasons. He’s had so many injuries I can’t keep track of when he’s playing or out hurt. With Fuller out, there will be more emphasis on Keke Coutee upon his return from injury. This is not a good thing for Coutee as it allowed more coverage to float towards him. Fuller was running interference for the Coutee uprising…now, that’s over. Vyncint Smith (0-0-0/0) is the WR likely to step inf or Fuller…and that could be interesting. He’s not a plug and play for Fuller and give you instant Fuller-like results. He’s more of a wild card shot at a big play TD threat…a big bodied, nice athlete, raw WR talent, a WR3.5 who is not ready to be an impact starter but has to get ready. -- Houston rookie TE Jordan Thomas (4-29-2/4) had a 2-TD game and that’s likely to draw some excitement on waivers in some leagues this week. Thomas is a big-bodied, lumbering TE who was ‘available’ for these scores…not a ‘by design’ weapon. It might be the only 2 TDs he scores this season. Nothing certain here during the waivers period. -- Miami rookie TE Mike Gesicki (4-14-0/5) has yet to score a TD this season…despite being such a supposed red zone threat because of his height and leaping ability from the NFL Combine. The problem is, and you saw it on full display in this game…Gesicki plays with all the gracefulness of a player playing with two broken legs. I see nothing close to his NFL Combine measurables on the field. Didn’t in college. Didn’t in the preseason. Certainly not in the regular season. I think you can call it already – NFL bust. 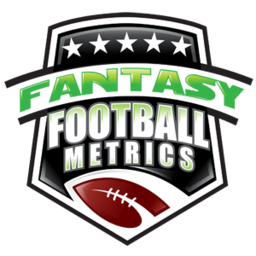 -- Back-to-back 100+ yard games for Lamar Miller (18-133-1, 0-0-0/2) sends his fantasy value ever higher…and I’m ever-trading if I have him. He sells as a strong RB2 now. Miller never sustains success for long, so I’ll bail in the right deal. The moment he has his usual 14 carries for 32 yards game…his value goes back down to RB3. -- I’m not a big Deshaun Watson (16-20 for 239 yards, 5 TDs/0 INT) fan, but I have admitted he’s much better than my scouting grades had him. He’s a great human too, so I hope he continues to burn my scouting (not really, but it sounds magnanimous of me…I despise being wrong). As good as Watson is…he’s not this good. This was a set of circumstances coming together for a big night. His TD pass counts in Weeks 1-7: 1-2-2-2-1-1-1…and now 5 TD passes in Week 8. Pardon me if I don’t rush him to the top of the QB rankings next week. -- The favorable Houston schedule ahead extends to their DST. It’s not a great schedule from here on in, but it’s not bad. Keenum-BYE-Alex Smith-Mariota-Mayfield-Luck-Darnold-Wentz through Week 16. I’d use Houston Week 9 at Denver if needed…but I’d probably bail after that. Alex Smith doesn’t turn the ball over. Week 12 is great with Mariota. Weeks 13-14 now Mayfield and Luck…no, thanks. The Texans defense hasn’t been all that great, they’ve just had some favorable matchups of late. It’s about time to jump off this train.